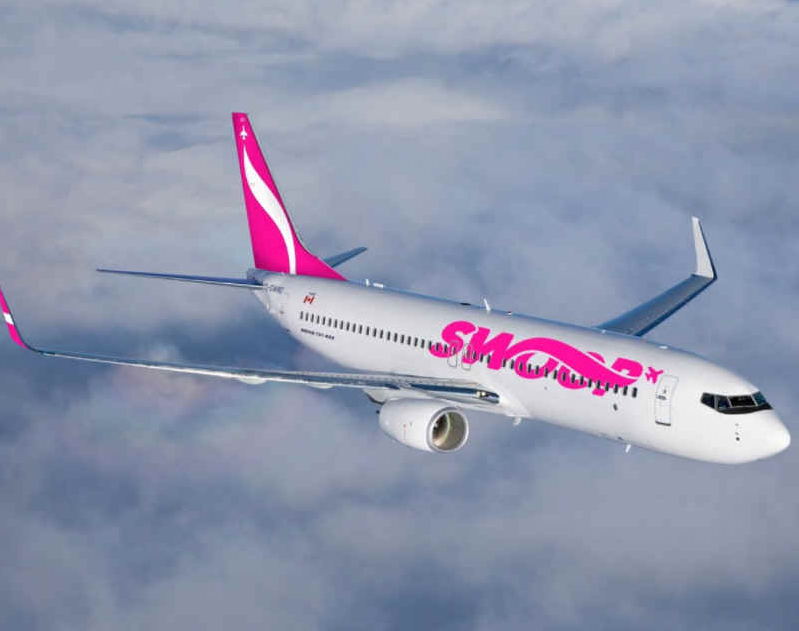 Swoop has set up a response centre to deal with thousands of passengers who have to be rebooked or get refunds after it was forced to cancel at least 16 flights to the U.S. In a message on its Web site, the budget spinoff owned by WestJet said it was waiting for one last approval from U.S. authorities to operate there. “We anticipated having all regulatory approvals in place well in advance of our U.S. launch, but unfortunately, this is not the case,” the airline said. The advisory covers flights until Oct. 27 and includes trips from Hamilton to four U.S. destinations and from Abbotsford to Las Vegas. The airline did not say what specific approval was missing but it did say that Edmonton-Las Vegas trips are not affected because it leases a WestJet aircraft for that route. For the rest of those who jumped on the low fares being offered in what was supposed to be the kick-off to Swoop’s sun destination season, they might still be able to get where they’re going for the same amount of money or close to it. The airline is rebooking passengers on other carriers but for those whose travel plans don’t allow that or who want to book their own flights its offering refunds plus extra compensation. “We know how disruptive it is when travel doesn’t go as planned, and are deeply sorry for the inconvenience and disappointment this has caused,” the airline said.